Crawl Space Solutions of Arkansas's staff educating the community on their crawl spaces and basements! We have solved a number of crawl space problems for homeowners in Russellville Arkansas. Crawl Space Solutions of Arkansas wants to help you have a healthier and more efficient home! Owner, John Cossey, was recently a guest on the Doug Rye radio show. One of our owners spent the day helping prepare volunteers for the Soaring Wings marathon. Crawl Space Solutions of Arkansas is now a certified Basement Systems, Inc. contractor! Moisture can destroy an Arkansas crawl space over time. Find out how it enters your crawl space and how you can seal it out. If you are looking for a great way to start saving energy and money in your home look to your crawlspace. Crawl Space Solutions of Arkansas recently installed a new type of installation, called SilverGlo, for the first time. Prepare you Arkansas home for winter with the right approaches to insulate your crawl space! Local basement and crawl space experts release a crawl space insulation designed to help homeowners make houses more comfortable and energy bills lower. 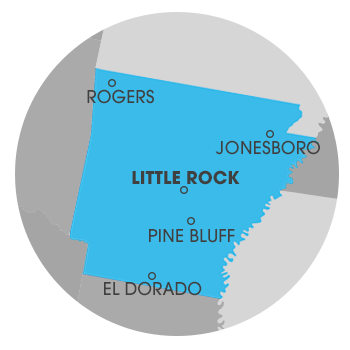 Crawl Space Solutions of Arkansas has recently received the bid to CleanSpace one of the Arkansas Health Services Buildings in Benton, Arkansas.